Teaching through group games, repetition, and mimicry, this course provides the necessary preparation and support for private lessons. Course cultivates a fluency in the structure of sound through introductions to solfege, rhythm and written music. Students have the opportunity to further master skills taught in their private lessons. 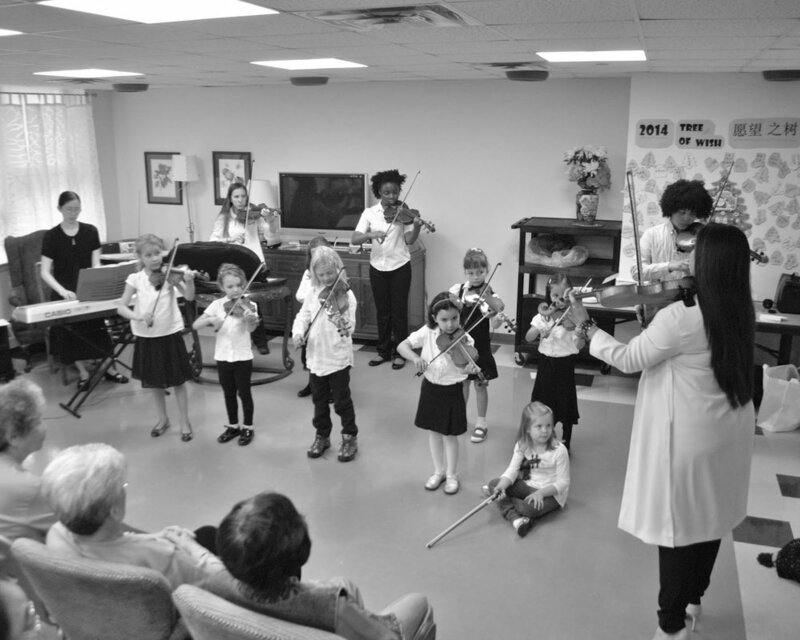 in these instrument specific classes, children learn to play together as a group and benefit from the full range of exercises prescribed in the Suzuki method. Please note that your child must already be able to play 2-3 pieces from Suzuki book 1, 2, or 3 for their respective ensemble level.